I'm back with another giveaway for you! This one is open internationally, so everyone can enter! WOOHOO! 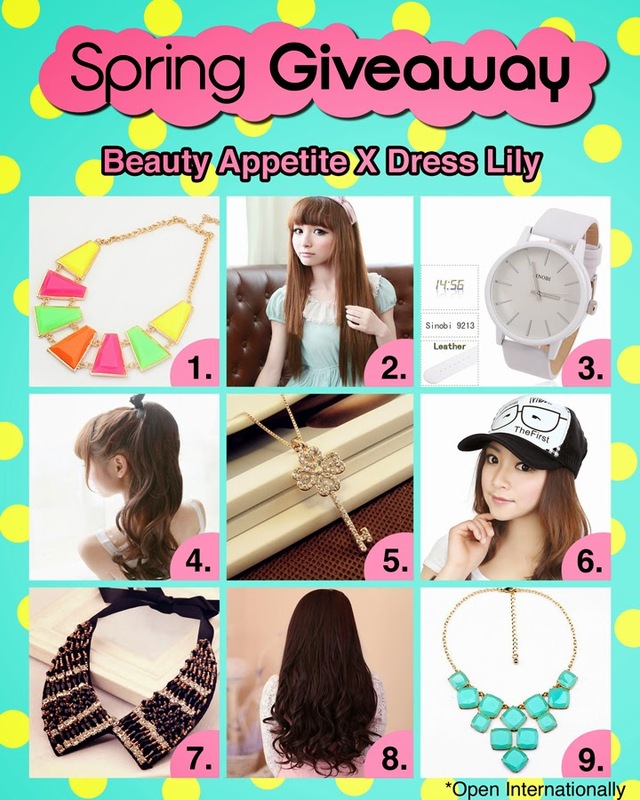 :) I team up with Dress Lily to do this Spring Giveaway. Dress Lily has soooo many cute clothes, accessories, hair clip, shoes and all, so I couldn't choose one item as the prize... So I narrowed it down to 9 items, so you can choose by yourself the item you want. Please check rafflecopter below if you want more entries to win the prize by your choice!! thank you and have a fab week! Thank you for you Wonderful giveaway.